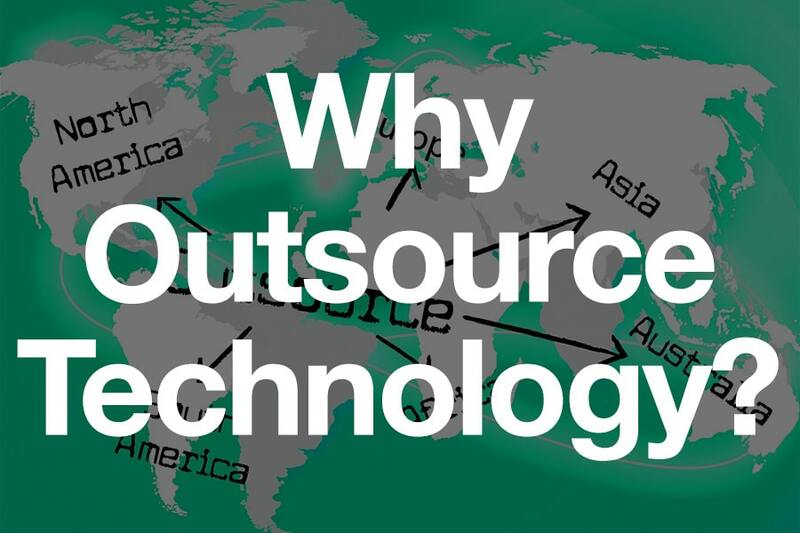 Outsourcing Part 1: Why Outsource Technology? What are the pros and cons of outsourcing? What to look out for? In this first blog of three, I look at why companies outsource technology. In future blogs I’ll cover off other areas like human, finance and strategic outsourcing, but technology is a good place to start. Before I do that, I’d like to address the marmite-like image outsourcing has in business today. Outsourcing isn’t new and every business, to a degree, does it. In the 1920’s Ford owned the supply chain. Motivated by a shortage of raw materials Henry Ford bought steelworks, glassworks, timber land and iron and coal mines. By the 1960’s Ford was reliant on other businesses for raw materials and most of the component manufacturing. In the present day, many car manufacturers outsource design and marketing and sell through franchised outlets. Despite the history, and how widespread it is, outsourcing is still an emotive subject that divides opinion. Some see it as progress, improving services and saving money, whereas as some see it as job cutting, offshoring and poor results. Both views have their merits and both views have plenty of examples to back them up. Outsourcing has improved services in a number of areas and has achieved huge cost savings in both the public and private sectors. It has also had some major disasters with new IT systems that never go live and performance so poor the client has had to step in and take over to save the day. The answer, as is nearly always the case, lies somewhere between the two views. I believe outsourcing is fundamentally good for businesses in that it gives them access to specialist expertise and systems, gives them benefits of scale that they could not realise on their own and allows them to concentrate on their core competencies. 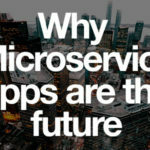 However, I also believe that if it isn’t done right it can have the opposite effect with poor systems, higher costs and management time absorbed in fixing the problems rather than taking the business forward. If you do it right and can work very well, but if you do it wrong it can really bite you. The first area where outsourcing can go wrong is around the initial decision on what to outsource and how. When making that decision it is useful to recognise the pluses and minuses of outsourcing and the areas where these impact. For simplicity sake, I break the factors down into four areas, technology, human, strategic and financial. In this article, I will cover off the decision to outsource technology. I’ll follow on with the other areas in future blogs. What are the areas where outsourcing can give you an edge through technology? The first one is giving access to new technology. This often rates higher than cost in the priorities of companies who outsource and it is not difficult to see why it is a benefit. Outsourcers are usually specialists in a particular area and so you would expect them to be more at the cutting edge of technology than non-specialists. Small businesses can see this in the area of accounting software. Would you code your own accounting software? You wouldn’t expect a small business (or for that matter a large one) to write their own accounting software. Whether it is large companies using SAP or small ones using KashFlow, businesses prefer to buy in off the shelf software and, especially in this time of rapid change in accounting and tax rules, keep them up to date. This means that the software isn’t specific to your business but there is plenty of choice so you can pick the one that is closest to your requirements. You may even have some bespoke work done to meet specific requirements that the off the shelf package doesn’t. 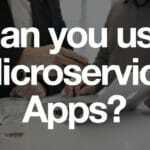 Another good example of access to new technology is app development. If you find an app developer who has developed apps in your space, you are already a long way down the track to a successful project. You may be entering a new area for your business but using a tried and tested supplier de-risks the whole project. Next in line is the benefit of avoiding obsolescence. Technology moves fast and obsolescence is a constant risk. However, specialist outsourcing suppliers are better able to handle that risk as they can fund development through a number of clients. The increasing use of Cloud hosting and SaaS (software as a service) means that, as a client, you can change systems very quickly without being tied into long term contracts or investment. Office 365 is a good example of SaaS where you pay a monthly fee for the service and the supplier provides hosting and keeps the software up to date. For security, large outsourcers can provide industrial scale disaster recovery and business continuity solutions. Clients benefit from that scale without having to shoulder the investment themselves. Of course this cost needs to be paid for, but the outsourcer can spread the cost over a number of clients, so no one client bears the full cost. Specialist suppliers can also attract specialist skills. If you are an IT specialist looking for a career in IT you might not be attracted to a manufacturing business but you might be attracted to an IT business that supplies the manufacturing sector. The specialist suppliers can offer the career path that the client cannot but the client still gets access to that same expertise, albeit on a part time loan basis. Then there is the expertise that specialist suppliers can offer in implementation and transition. This is one of the most risky areas in technology but outsource suppliers deal with it all the time and will have the systems, processes and people in place to limit the risk. This list gives some of the technological factors you may wish to look at when deciding whether to outsource or not but you do need to remember that the service is outsourced and that limits your flexibility. For example the outsourcer may be able to offer industrial level disaster recovery and availability but you aren’t running the service so your ability to set the level of service is limited. Very often in hosting situations, especially for small clients, there will be one, take it or leave it, availability service level. In future blogs I will cover off the human, strategic and financial factors around outsourcing but I hope this brief overview helps your thinking. Derek Parlour is Group Finance Director at Amsys and is the author of “Successful Outsourcing and Multi-sourcing”. He has an MSc with a dissertation on Success Factors in IT Outsourcing.